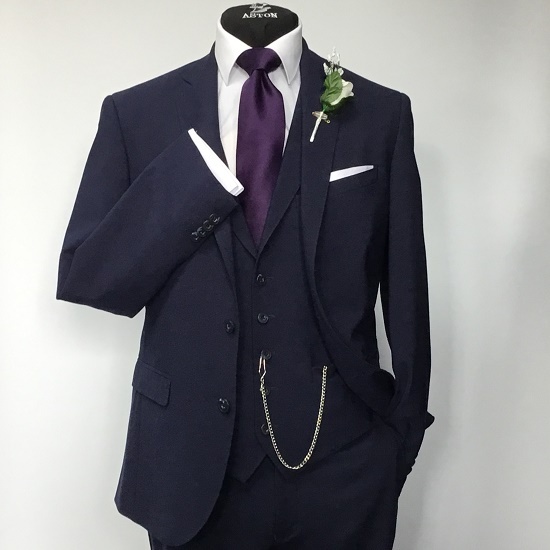 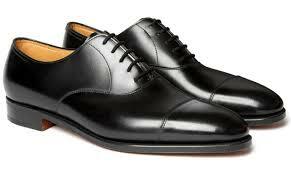 The Carter three-piece suit is supplied as a slim fit suit throughout much of the size range. 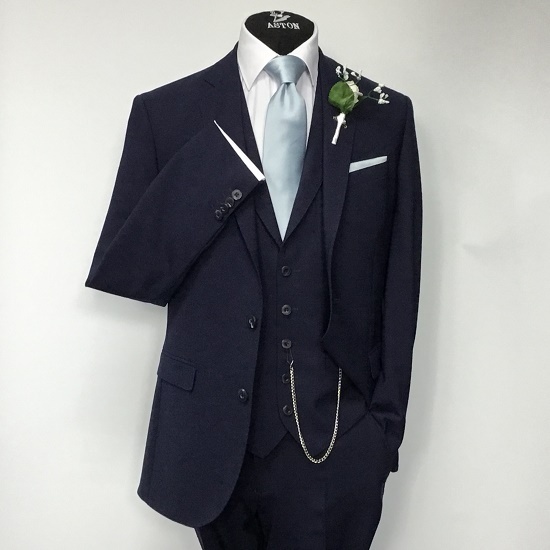 Where slim fit wouldn't be the best option, Aston have a range of regular fitting suits in the same cloth so everyone in your party gets to wear the same suit, but individually styled. 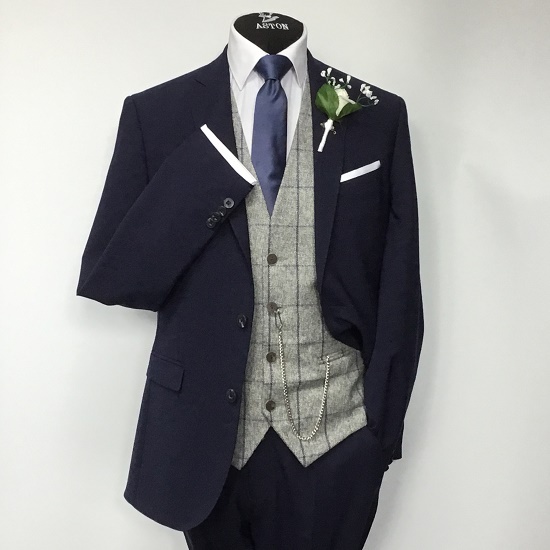 It’s a lightweight, wool mix suit as good in colder weather as it is for weddings abroad.